Considering the position of the nostrils, that was your decision and it is as valuable as any other. 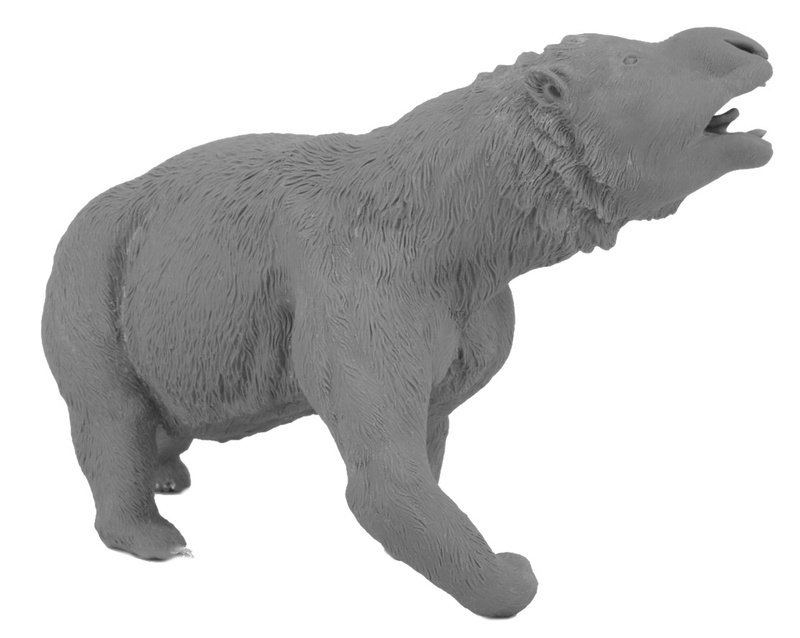 I don't have a personal preference and as I hope you will make soon or later a Palorchests, I think this option is more than good to give the diprotodon its own identity. I seriously love the dramatism, somewhat reminescent of some Papo herbivore dinos. The detail is also amazing but that is already a mark of your projects. 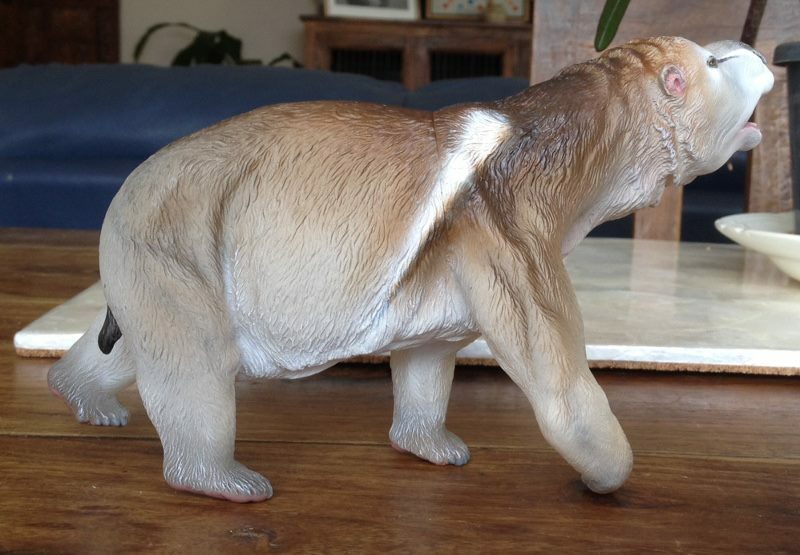 An exciting diprotodon figure is borning and I am very glad of being honoured of presencing the parturition. Me too! Can't wait to see the next steps. I find these process totally interesting. I know that it's probably not possible, but it would be great if you could do this for all of your figures. I knew a decent amount of work went into making figures but seeing it done piece by piece and literally muscle by muscle is really cool. I check almost every day to see what has been done. Thanks for following I'm glad you're enjoying the process. I would like to post more often, perhaps also of other projects. Considering the position of the nostrils, that was your decision and it is as valuable as any other. As long as it is believable I'm happy! Stage 20 .. The head has now been finished and baked. 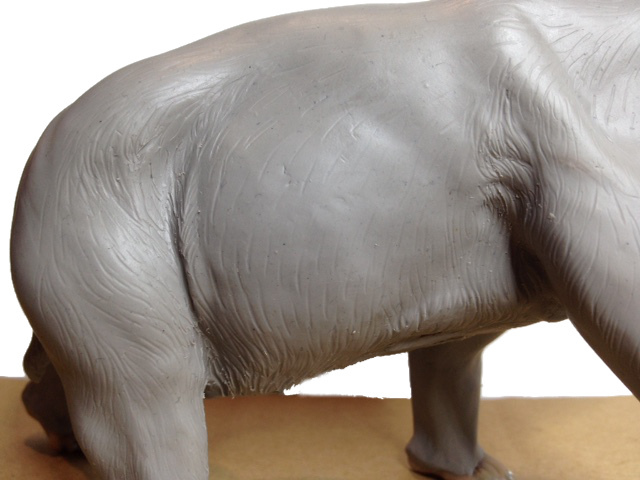 Now the skin is overlaid and pressed into the muscle contours. The next view after this will reveal the real look . Wow! I'm sorry I didn't come across this thread sooner. 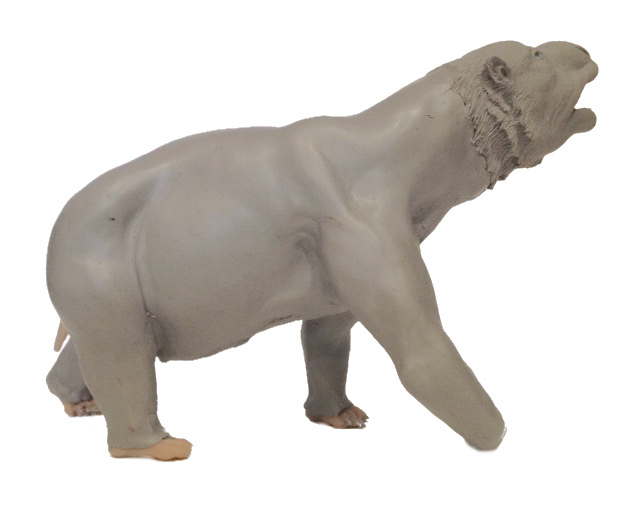 It's fascinating watching you recreate the diprotodon from the armature up. Thanks for sharing! Stage 21. 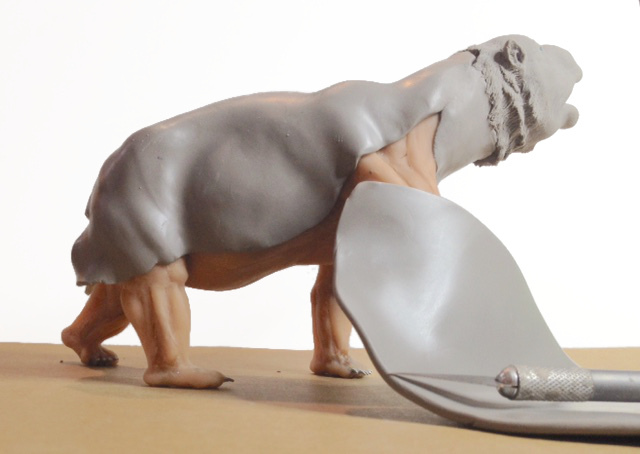 Skin layer is basically in place and pouch added underneath - a lot of details yet to be added. I love the ruff round her neck, and the expression on her face begins to look like she is telling everyone : "Here I come "
I am glad your girl is already showing her feminine attributes! Susanne is right, she looks as she wants to be noticed. Is there a big male around? You promised to make it expressive and you did. I am now curious to see how you will dress her. Thanks Donny, Susanne and Roger . To me it looks like she called be calling for her baby. I'm trying to imagine the sort of sound she would make? Stage 22 - Skinfolds added and fur texture direction has been lightly 'mapped' following muscle contours. Stage 23 - Starting the fur detailing from underneath. The reason is so that all the hard to reach parts are done first while I can hold the model from the top and turn it in my hands. I have not yet commented - in fact I believe this is the first time I've ever interacted with anyone on the forum - on this thread, but have been silently observing the sculpting process since I happened upon it a few weeks ago, but might I just say thank you for sharing it with us. As a prospective sculptor, it has been wonderful observing your technique and gaining some insight into the hobby I hope to pursue. Your attention to detail is impeccable and your knowledge of anatomy seems quite extensive, so might I ask; is it common practice to build up the anatomy of the animal so meticulously before applying the "skin", as it were? It certainly seems as though it greatly assists in creating a good form for the animal as well as assuring it's well proportioned. But on smaller subjects it might not be feasible, I should think? 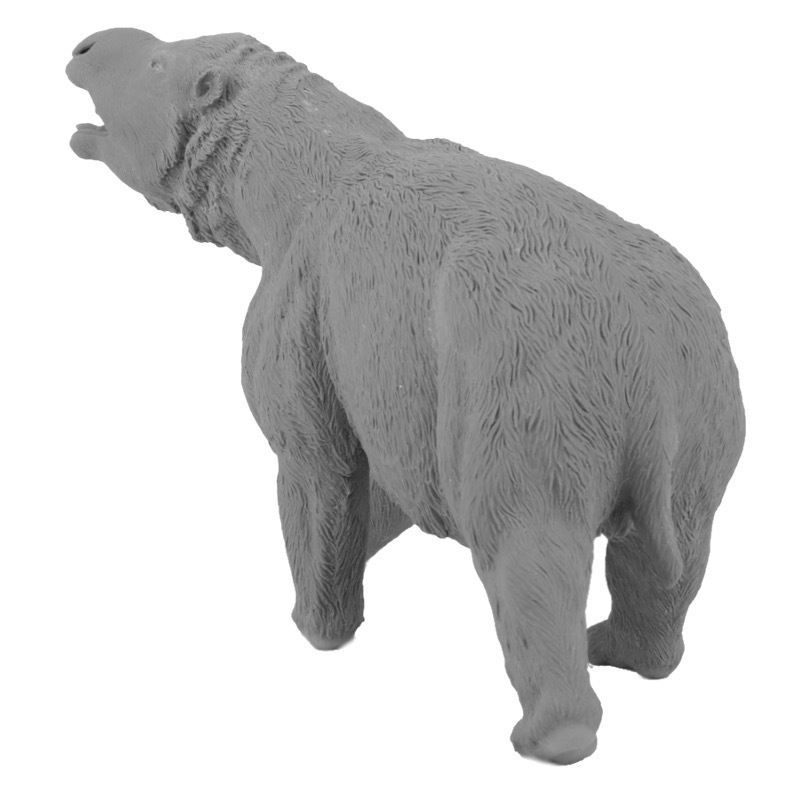 Additionally, would you recommend using said technique when first beginning to sculpt, seeing as it must help ensure a more accurate sculpt, or is it simply too complex for a beginner? Sorry for all the questions, but having seen the work that has gone into your sculpting I think you may well be the best person to ask. Again, thank you for sharing, you have serious talent. I have to comment again that it is a very generous gesture from you to share with our community all technics you use to develope such project. There's an old proverb that tells that the secret is the "soul" of the business. Fortunately it is now considered an obsolete proverb even if some more conservative businessmen insist in it. I believe it is sometimes adjusted but often, it is a good excuse to be selfish or a sign of cowardice. I am glad you are much more clairvoyant and thanks to you we can welcome a new member as it is @Turacin. WOW !!!! and more WOW !!! I have not yet commented - in fact I believe this is the first time I've ever interacted with anyone on the forum - on this thread, but have been silently observing the sculpting process since I happened upon it a few weeks ago, but might I just say thank you for sharing it with us. As a prospective sculptor, it has been wonderful observing your technique and gaining some insight into the hobby I hope to pursue. Hi Turacin, thanks for joining us! I'll do my best to answer your questions below.. Your attention to detail is impeccable and your knowledge of anatomy seems quite extensive, so might I ask; is it common practice to build up the anatomy of the animal so meticulously before applying the "skin", as it were? It certainly seems as though it greatly assists in creating a good form for the animal as well as assuring it's well proportioned. But on smaller subjects it might not be feasible, I should think? It's not common practice to build up the animal in this way although there is a sculptor that I greatly admire who works in a similar way. My knowledge of anatomy is actually quite limited. I like working through this process as a self teaching method - I study the animals as I go and look up as many references as possible to view various angles, trying to think through how the muscles and bones would look and interact in different poses. I agree it would not be feasible on smaller subjects. Additionally, would you recommend using said technique when first beginning to sculpt, seeing as it must help ensure a more accurate sculpt, or is it simply too complex for a beginner? This thread has been fascinating- I'm amazed by the skeleton-musculature substages. Would there be a problem if I crossposted a link to this thread onto a forum devoted to a line of art sculptures (in their subforum for other artist's works)? I think people there would appreciate the skill and craftsmanship as much as people here have. Welcome along I certainly don't have a problem with it. Stage 24 .. Fur texture coming along now.. working from the underside, then around the hard to reach areas such as inside the legs etc and then moving outwards. 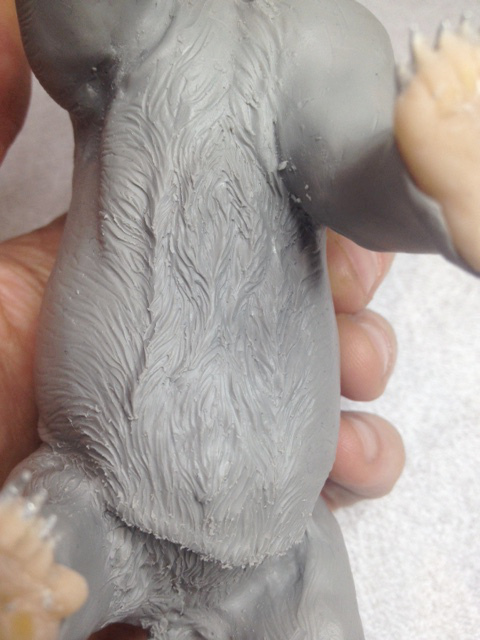 I'm layering thin sheets of sculpey in areas where the fur is thickest. It's such a joy to see this fantastic model so close to being finished Incredible work, Jason! Ohhh me, ohhh my !!!! I apologise for the long delay in posting .. here are the photos of the finished, baked model. Now to work out the best option for production! I would like to see this model with painting,soon. Well, as a herbivorous creature with a bear like motion, I hope you don't use a giant panda as reference for coloring it. Jason, it is really extraordinary! A uncommon animal, very powerful, very expressive, I'd say... dramatic! A pose full of action and a rendition scientifically as accurate as possible. 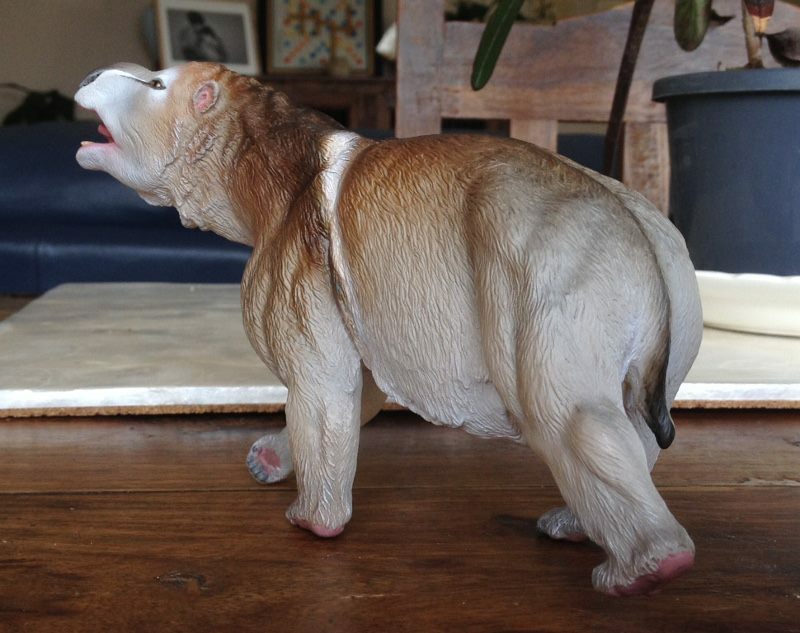 Just a masterpiece and a manifestation of paleoart of a respectable quality! It always bring the discussion how prehistoric animals should be patterned. Actually, unusual patterns and colors are not so unusual among extant animals. 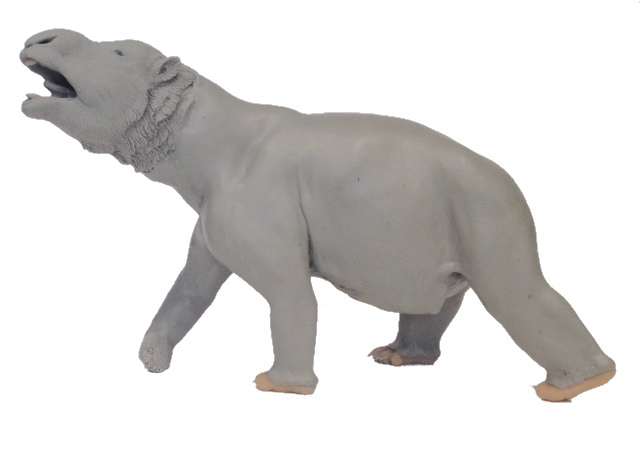 Who could guess a Malayan tapir or a giant panda could be so originally patterned if they were only known from bones? 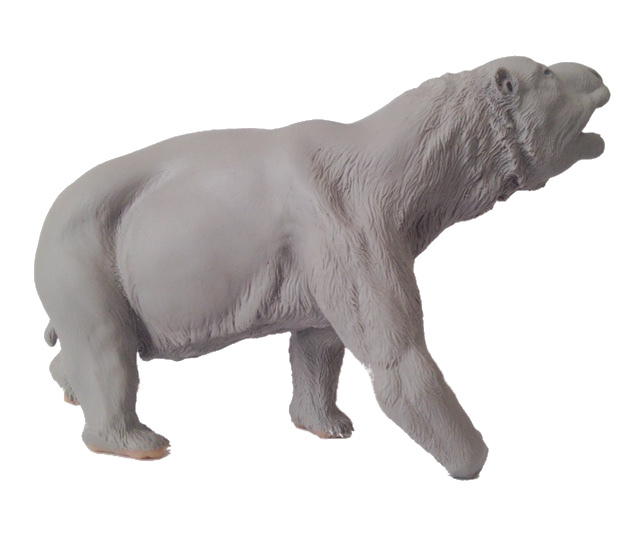 If a paleoartist tried to give them a color as they are, many people would criticize it. A good example are dinosaurs, I think about that anytime I see a picture of a mandarin duck. This topic is such a gem. I really like it when brands join our STS community to share their work. Promoting is fine, but I really like it when they interact with the community, just as any other member. But this is an extreme highlight; someone who made such fine figurines in the past, who visibly enjoys his work, and now shares his 'secret' of production with all of us! Jason, thank you so much for this insight in your amazing life. This topic makes my fingers itch, if it wasn't for school I would definitely pick up my Super Sculpey this instant! Thank you thank you thank you, and keep up the amazing work! 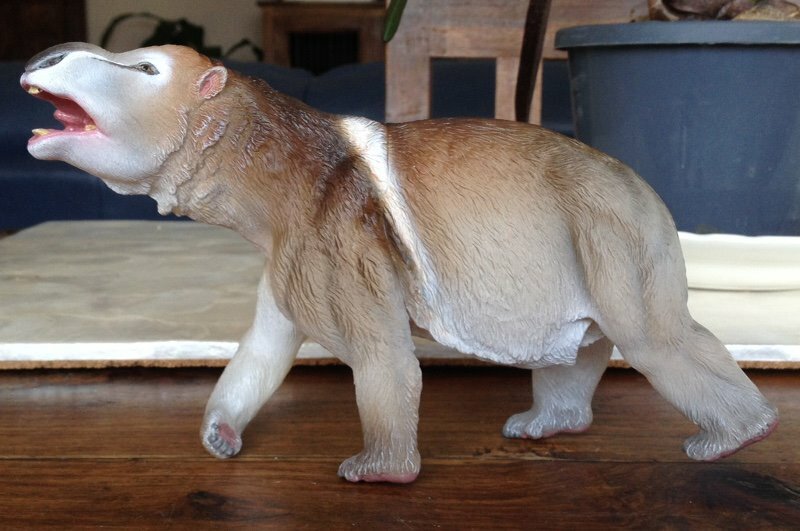 I can't wait to see this gorgeous wombat-bear-capybara-like creature finished! And I'm really curious about what species you'll be working on next Thanks! Beautiful finished product! It's been amazing seeing this model being built from start to finish. Many of your techniques, such as sculpting the belly details first, do seem very helpful. I'm looking forward to seeing the painted prototype. Wonderful working process. 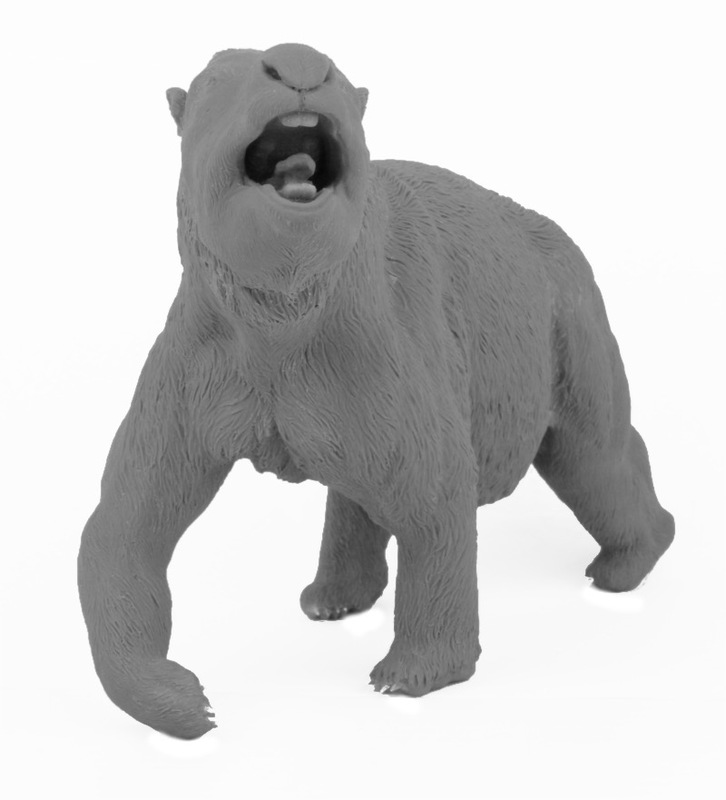 :thumpsup: Can't wait to get this animal in my collection. 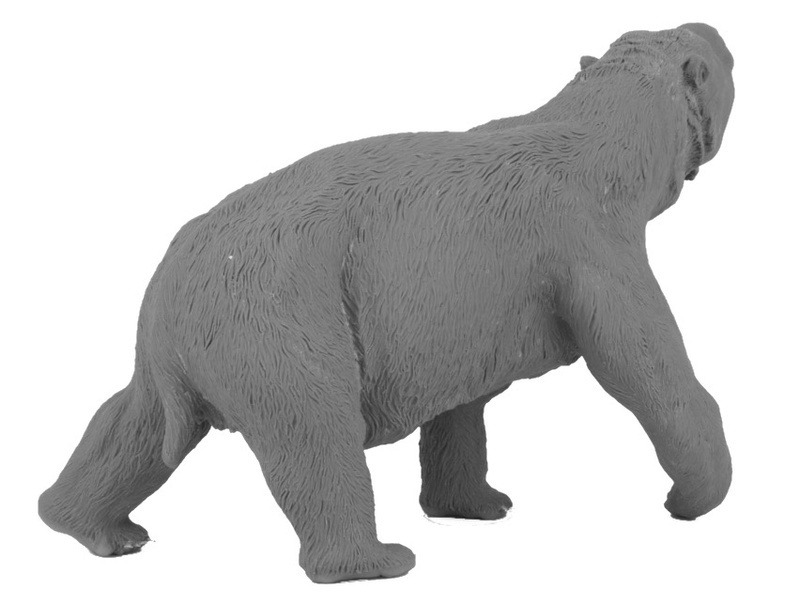 Can you make a Megalania, a Moa and a Tasmanian Aboriginal, please? Thankyou all so very much for your kind comments, Taryunda, Barracudacat, Kosta, Luke and Tupolew Tu-154. There seems to have been a recent surge in interest for this model both here and on our Facebook Page and I'm inspired to keep moving forward! Thanks for the information, Jason! I think we were all expecting some news from Southlands, as with any major brand around this time of the year!! And, as far as you can let us guess, will all of those 6 figures be Australian animals? Or will we have any species from another southern territory? I am so glad that the enthusiasm around Southlands is not vanishing with all these releases being announced by stablished brands. I am so happy also that you are working hardly to provide us some more of your exquisite figures! VERY GOOD NEWS!!! CAN'T WAIT !!!! Thanks for the answer! 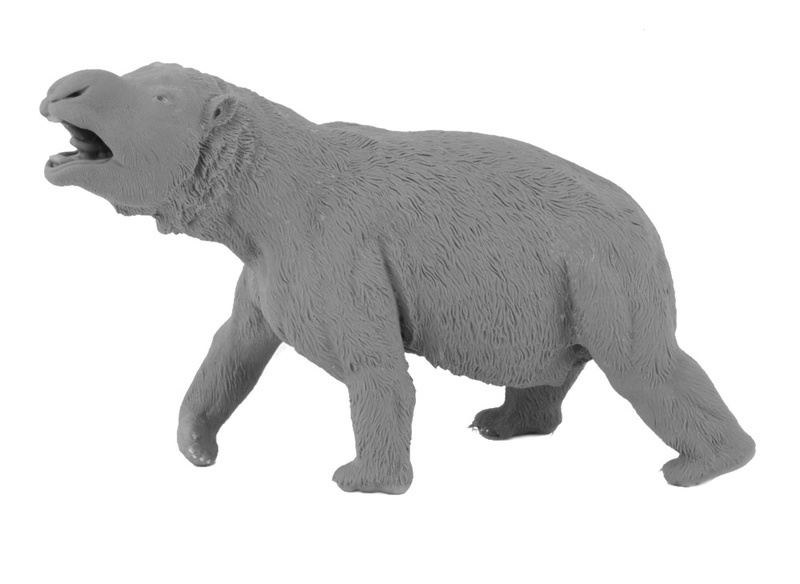 It's great to have new figures and species, no matter where they come from! Keep on with that great work!!! 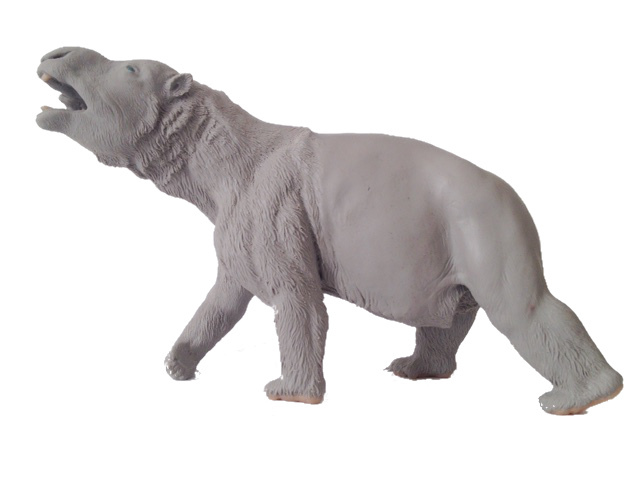 Hi all - here's our Diprotodon painted prototype. I've tried to be faithful to Australian Fauna colours and patterning to make her seem as realistic as possible. It is a majestic work of art. Is it patterned after the bridled nail-tail wallaby?